Animated: No; Low-poly: Yes; Materials: Yes; Rigged: No; Textured: Yes; UV Layout: Yes; 3D File Formats Included: .blend (blender), .fbx (multi format), .obj (multi format); Created In: blender; Geometry: Polygons; Poly Count: 857. Game ready bank building exterior. Made in Blender and rendered with Cycles. - made with polygonal quads and tris only. - low poly and designed for games. - 4K textures. Can easily be reduced in quality to save space. Apartment - Game Ready; Small Shop - Game Ready; Concrete Road Blocks - Game Ready; Browning Hi Power Hand Gun - Game Ready; First Aid Kit - Game Ready; Steyr AUG Assault Rifle - Game Ready; Dragonborn Character - Game Ready. Keywords: apartment, bank, block, brinks, building, city, concrete, corner, door, exterior, game, office, ready, shop, street, town, white, window. Best stock graphics, design templates, vectors, PhotoShop templates, textures & 3D models from creative professional designers. Create 3DOcean Corner Bank Game Ready 21008097 style with PhotoShop, Illustrator, InDesign, 3DS Max, Maya or Cinema 4D. 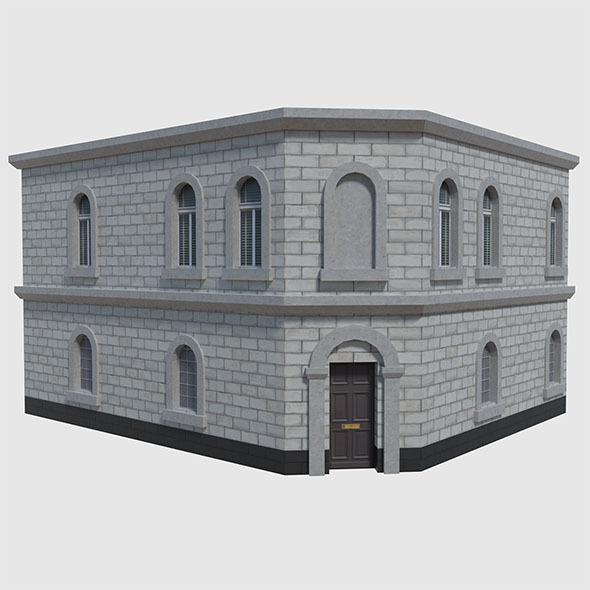 Full details of 3DOcean Corner Bank Game Ready 21008097 for digital design and education. 3DOcean Corner Bank Game Ready 21008097 desigen style information or anything related.